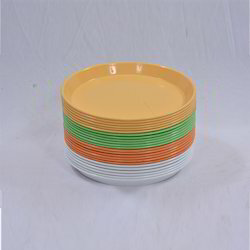 Our product range includes a wide range of quarter plate 8, square full plate, square quarter plate, partition plate, printed rice plate and square quarter plate (6 pc set) mix. Square Plate Being an eminent enterprise, we are instrumental in providing our clients a high-quality range of Quarter Plate 8. 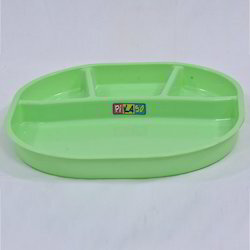 Owing to our expertise in this domain, we are able to provide an extensive range of Square Full Plate in various appealing designs, styles, colors, and shapes. 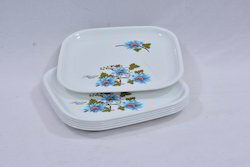 Enriched with vast industrial experience in this business, we are involved in offering a supreme quality range of Square Quarter Plates to our clients. Levering on our vast industry experience, we have emerged as noteworthy manufacturer and supplier of a wide range of Partition Plates. 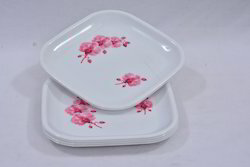 We hold expertise in offering an exclusive collection of Printed Rice Plate to our valued clients. 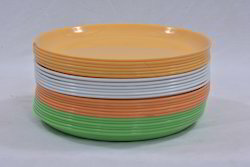 Attractively designed and developed these plates are sourced from trustworthy vendors. 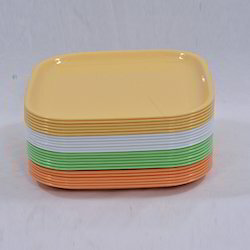 Backed by a modern infrastructural base, we have established our presence as the most dependable entity of an enhanced quality range of Square Quarter Plate (6 Pc Set) Mix. 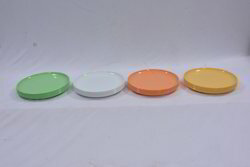 We are enthusiastically engaged in providing a qualitative array of Round Quarter Printed Plate. 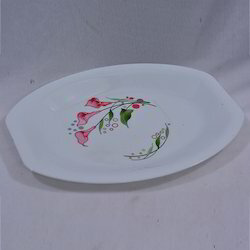 Our craftsmen design this whole range of full plates by using finest material and latest tools, machinery. 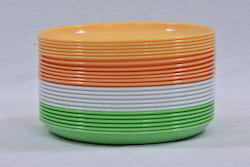 Being a prominent firm, we are engaged in manufacturing and supplying a distinguished assortment of 11 Round Plate. By keeping away with the market developments, we are engaged in offering a wide collection of Square Printed Plate. 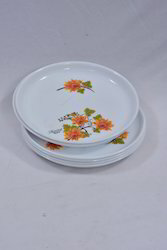 Being a prominent firm, we are engaged in manufacturing and supplying a distinguished assortment of Round Big Plate. Square Quarter Printed Plate Being an eminent enterprise, we are instrumental in providing our clients a high-quality range of Square Plate. We offer wide range of Punjabi Thali 11. 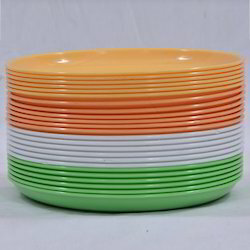 We offer wide range of Round Plate 10.